SECRETARY CLINTON: [...]One of the other issues we discussed in particular underscores the value of these multilateral institutions and also the importance of establishing clear regional norms, and that is the South China Sea. As you know, the United States has no territorial claims in the South China Sea, and we do not take sides in disputes about territorial or maritime boundaries, but we do have a fundamental interest in freedom of navigation, the maintenance of peace and stability, respect for international law, and unimpeded lawful commerce. And we believe the nations of the region should work collaboratively and diplomatically to resolve disputes without coercion, without intimidation, without threats, and certainly without the use of force. SECRETARY CLINTON: We commend this week’s announcement that ASEAN and China have agreed on implementing guidelines to facilitate confidence building measures and joint projects in the South China Sea. This is an important first step toward achieving a Code of Conduct and reflects the progress that can be made through dialogue and multilateral diplomacy. We look forward to further progress. 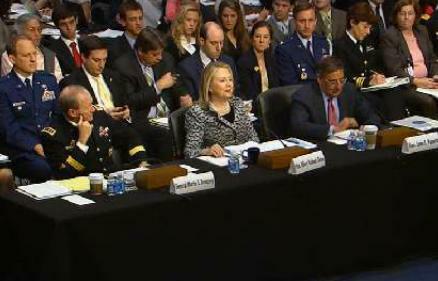 SECRETARY CLINTON: [...] I’m sure you have followed the claims countries are making in the South China Sea. Although we do not have territory there, we have vital interests, particularly freedom of navigation. And I can report from the diplomatic trenches that as a party to the convention, we would have greater credibility in invoking the convention’s rules and a greater ability to enforce them. SECRETARY CLINTON: [...]The United States, like every nation, has a national interest in freedom of navigation, open access to Asia’s maritime commons, and respect for international law in the South China Sea. 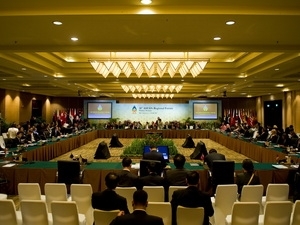 We share these interests not only with ASEAN members or ASEAN Regional Forum participants, but with other maritime nations and the broader international community. (From CSIS.org) The South China Sea and Asia Pacific in Transition - Exploring Options for Managing Disputes: The CSIS Southeast Asia Program hosted its second annual conference on Maritime Security in the South China Sea June 27-28, 2012. 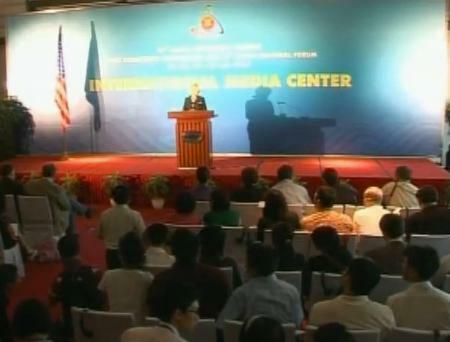 The conference is a timely policy level discussion of the complex and important issues around the South China Sea. 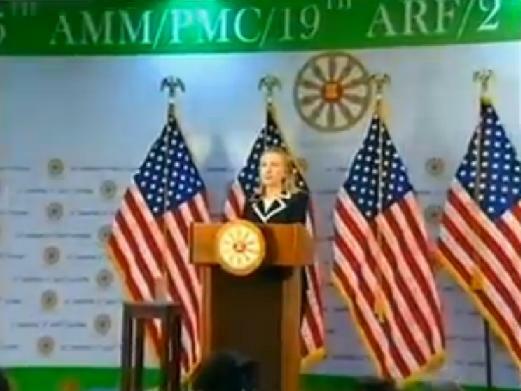 The program took place a week before Secretary of State Clinton departs for the ASEAN Regional Forum (ARF) and Post-Ministerial Conference (PMC) in Phnom Penh, Cambodia. Asiasociety.org: An area known by three different names South China Sea, East Sea and West Philippine Sea - the waters surrounding the Spratly and Paracel Islands are some of the most contested in the world owing largely to the energy reserves believed to lie beneath them. China, Malaysia, Philippines, Taiwan, Vietnam and Brunei all have claims to this area.